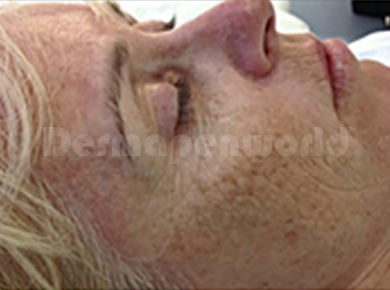 How does Dermapen Skin Therapy work? The principle underlying skin therapy is that shortly after any injury to the human skin occurs, the old and damaged skin tissue dissolves and is replaced by new cells. 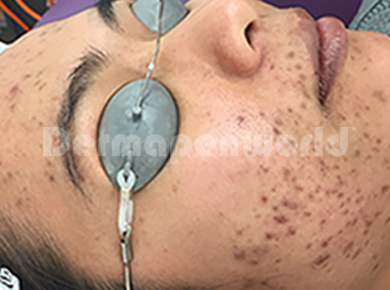 The needling method used in the DermaPen micro-needle skin therapy allows for a controlled manifestation of this remarkable self-repair mechanism on a microcosmic scale. This is enabled via several thin needles which gently penetrate the skin creating micro “injuries” that trigger the synthesis of new collagen, without the risk of permanent scarring. You may experience minor discomfort during the skin needling treatment but a numbing cream can be applied beforehand to reduce this. Depending on the aggressiveness of treatment, you may experience pin-point bleeding during the treatment but not ongoing. You may find temporary redness of the skin for a couple of hours or a day depending on the treatment type. 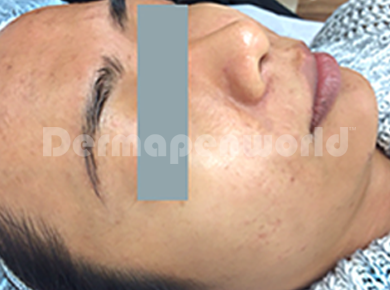 Micro-needling can be safely performed on all skin colours and types and there is no risk hyperpigmentation as the melanocytes and epidermis stay intact during skin needling. This treatment at VEGA is very safe and effective. 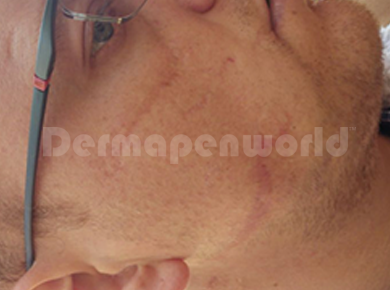 Any side effects experienced with the Dermapen usually subside within 24-48 hours and may include erythemia, stinging, itching, skin tightness. It is minimally invasive with minimal downtime and requires only simple after care. You will see visible results for skin rejuvenation at between 2 weeks after your procedure and the results continue to improve over time. Your skin naturally heals itself every 45 days so with micro-needling stimulation changes will be fast. 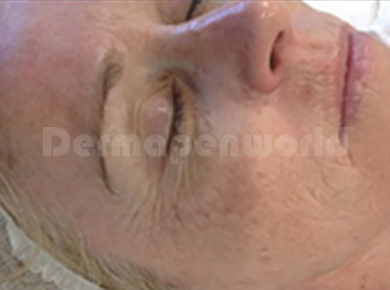 At VEGA we recommend a course of Dermapen sessions for optimum results though improvement is noticeable after just one treatment. After your treatment your skin may be red and flushed with an appearance like moderate sunburn. It may be that you also experience skin tightness and sensitivity to the area but this will diminish within a few hours following treatment and after 24 hours the skin will be completely healed. Your aesthetician will give you after care instructions following your treatment. Am I Suitable For Dermapen At VEGA? 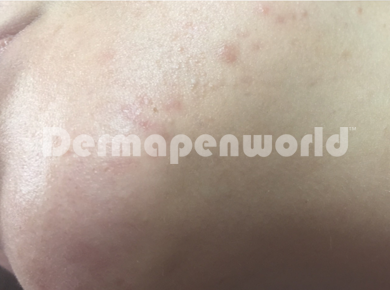 Skin needling is effective in treating age concerns such as lines, wrinkles and pigmentation, scars, stretch marks and pitted acne scarring, and improving skin texture and tone. 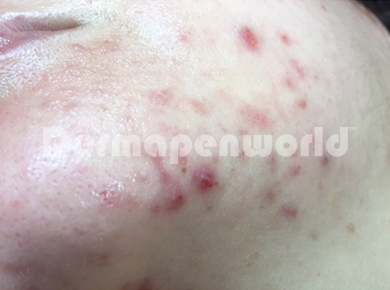 This treatment is not suitable for those who are pregnant or lactating, those with skin concerns such as Rosacea, Psoriasis or active Eczema. 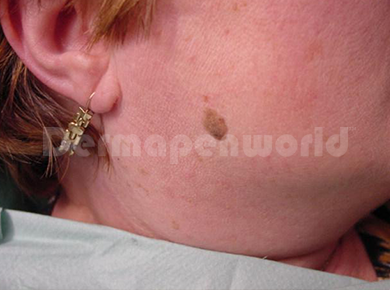 Your experienced aesthetic practitioner will assess your suitability for this treatment at your initial consultation.